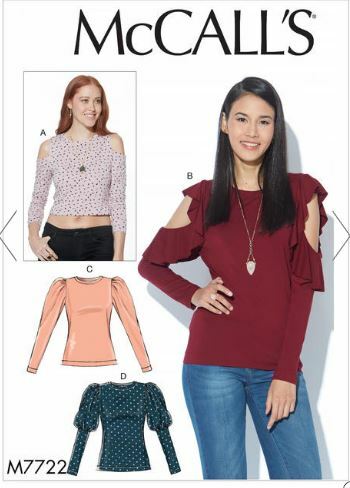 But every dress has a story, right? 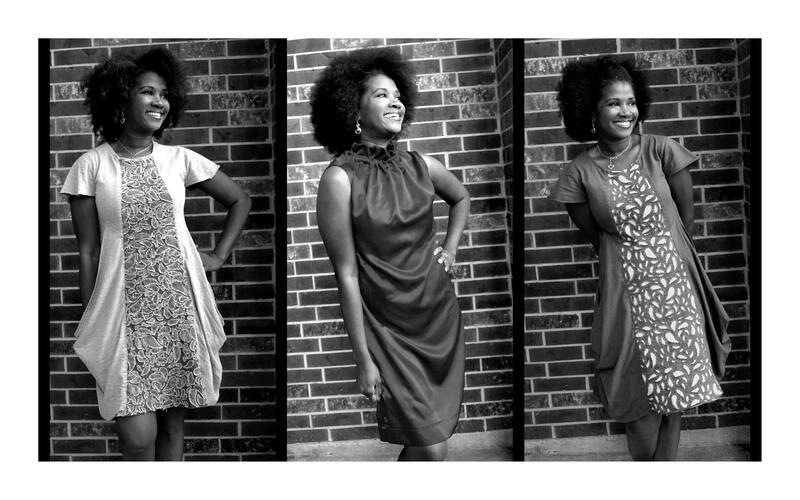 Bianca of Thanks I Made Them is one of my favorite sewists. I’m always inspired by her unique approach to textiles and her eye for detail. 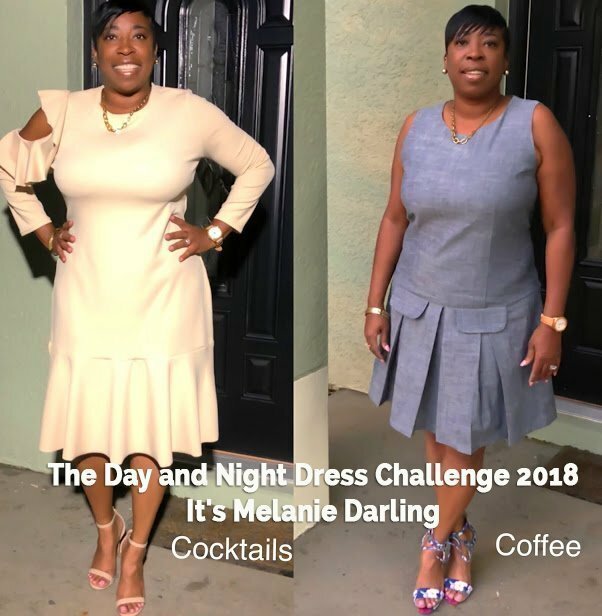 Her dresses for The Day and Night Dress Challenge are great examples of both of those things! Welcome Bianca! 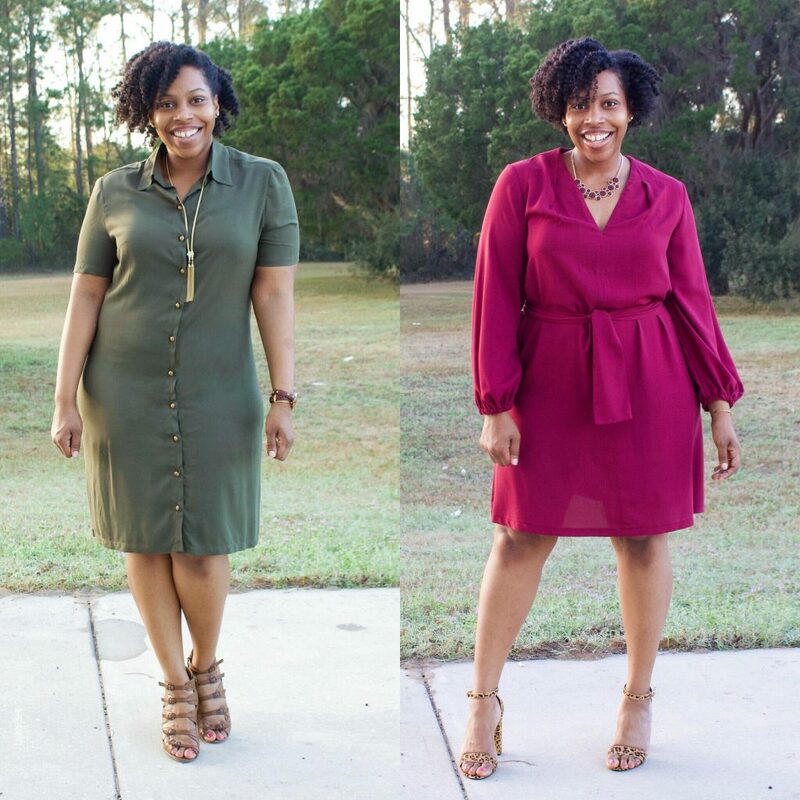 Last year, I received an invitation to participate in The Day and Night Dress Challenge. 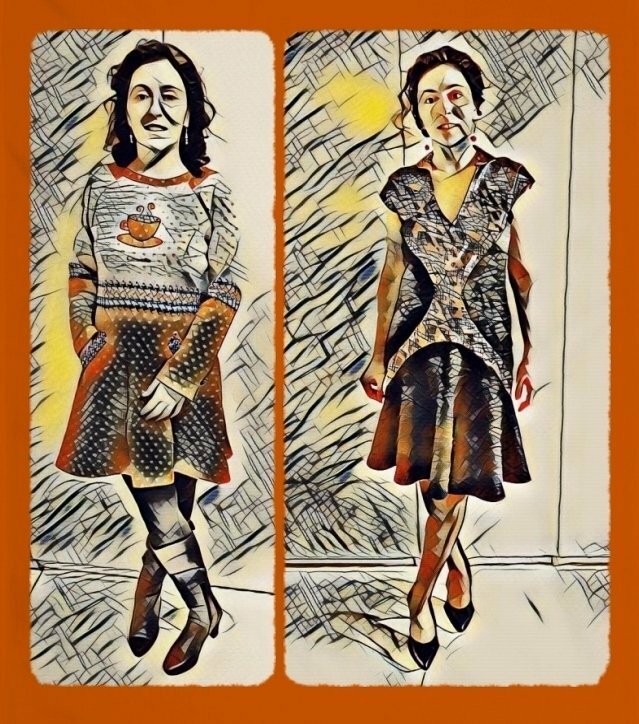 I was happy to take part and loved the dresses I made then. 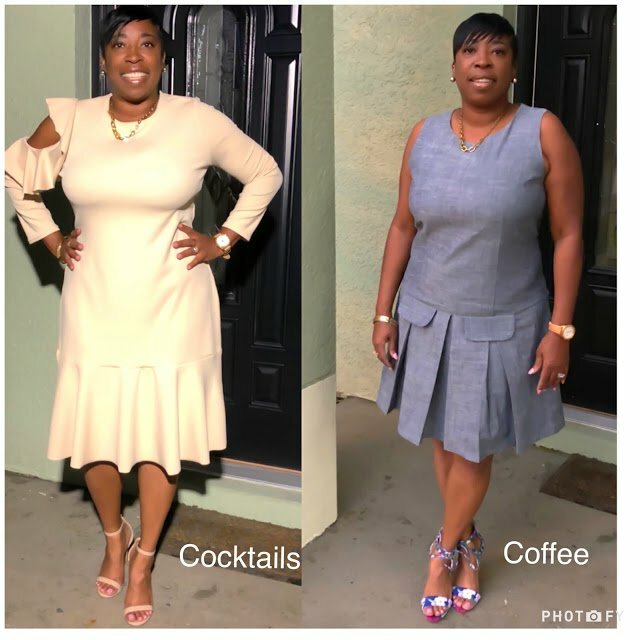 When I received the invitation for the Coffee and Cocktails Challenge this year, it coincided with scheduled knee surgery. Recovery meant 8 or more weeks of rest, right knee immobilization and the use of a walker or crutches. I accepted the invitation, unsure how I would make it work with those discouraging restrictions, but I knew I wanted to try. Yay! It’s Melanie! 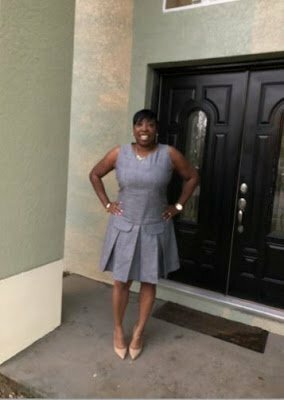 My co-conspirator on That Sewing Blab‘s So You Think You Can Sew competition and the queen of custom dressmaking and sweet shoes in all of Florida! I have been so looking forward to what she’d be making for The Day and Night Dress Challenge, and her two dresses will not disappoint! Welcome Melanie! 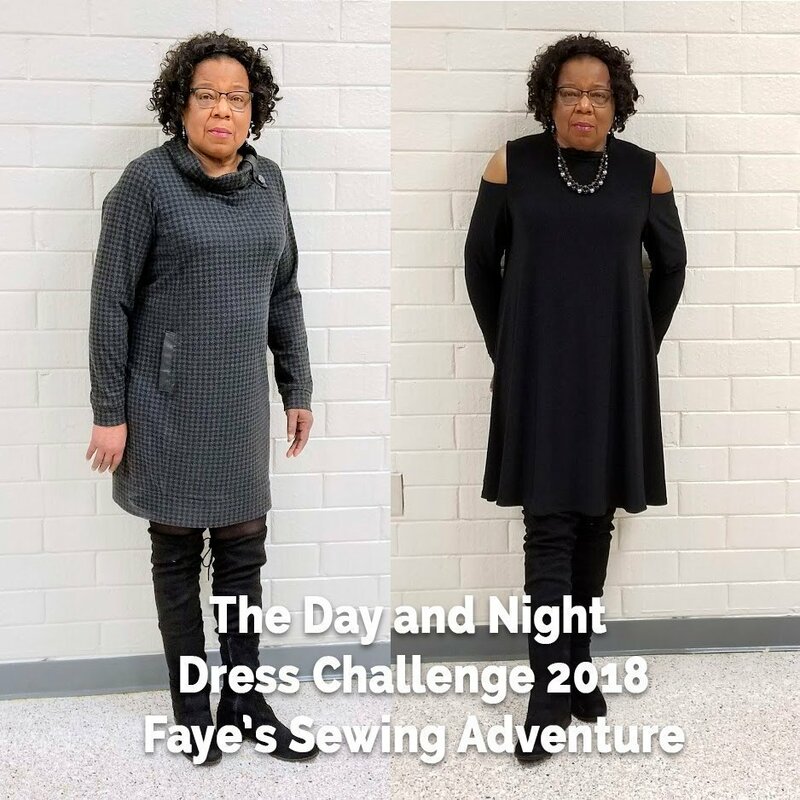 If you’ve never seen Sue Parrott from I Love 2 Sew and her creative, precise sewing, you will thoroughly enjoy her contributions here to The Day and Night Dress Challenge. Welcome Sue! How fun is this challenge? 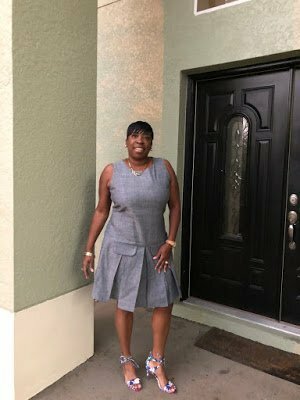 I thoroughly enjoyed figuring out what to make using only fabrics from my stash…honestly this just about did me in but then I ‘shopped’ around and found these four fabrics that I thought would work and would be things I’d wear. 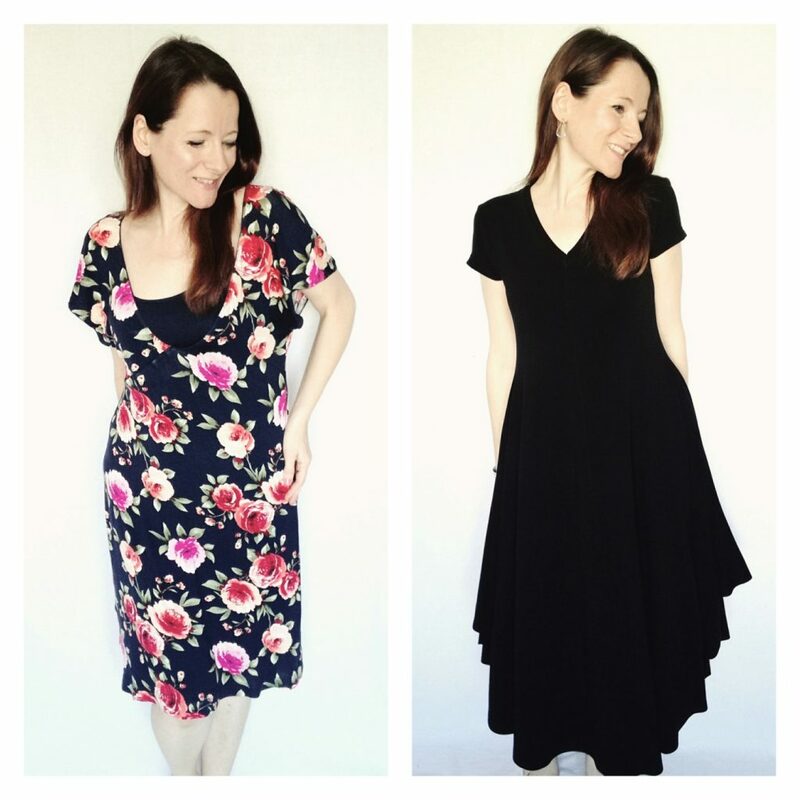 Welcome Georgia of I Believe I Can Sew to The Day and Night Dress Challenge! This Romanian sewist has mad skills and sews at an absolutely furious speed with an creative eye for combining textiles and textures. Her work is truly exciting to see! I is always more fun to sew with others so I was quite intrigued to join Elizabeth’s challenge. 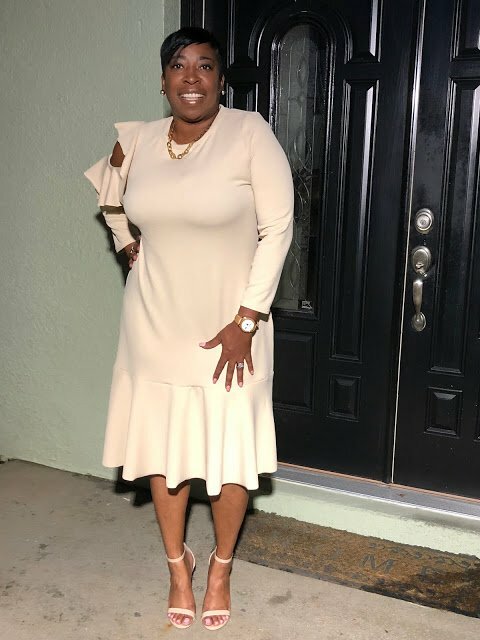 I love looking at dresses and I love making dresses but I rarely wear them.